Not since the creation of man and woman has there been enduring peace on this earth. Not with the best of governments; nor through education or man-made religions or treaties of all kinds. Not between nations; nor within nations, states, cities, communities, or families. Even the Garden of Eden was short-lived when Adam and Eve fatefully disobeyed God; thereby, forfeiting the beautiful fellowship and Shalom (peace and tranquility) with their Creator. The first murder was one brother of another. Whether through premeditated murder or justifiable homicide (such as in defensive wars), killing is the direct opposite of peace between people. And so is (polarized … not even agreeing to disagree) political, social, and economic discord and disparity that affects the well-being of people all over the planet to some extent or another. In fact, one of humanity’s saddest ironies is that war unites people more than times of peace. But then, exposing another perplexing problem: war unifies ethnic groups and nations against other nations. Despite the amazing advancements in 20th & 21st century technology and communication, there has been less peace in the world than ever. Two world wars and numerous regional and national conflicts bear witness that we have not progressed morally or spiritually. It’s just the opposite. How can that be? Shouldn’t mankind by now have proportionally improved our relationships on all levels, beginning with the family? Will we never learn from our mistakes? No, we won’t; not until we embrace God’s plan for peace—with God and (then) between people. “…So love truth and peace” (Zechariah 8:19). The above order is not arbitrary. First love truth, then peace (will follow). 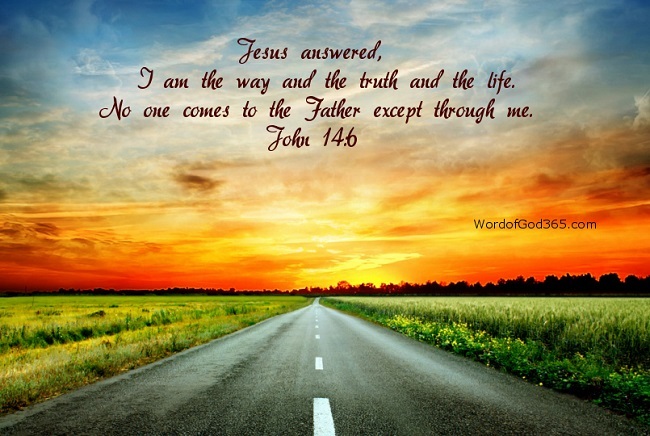 Jesus is the ONLY WAY to peace, the ONLY TRUTH about peace, the ONLY LIFE of real peace. Such peace was proclaimed at his birth by an angel of the Lord: “…I bring you good news that will bring great joy to all people. The Savior—yes, the Messiah, the Lord—has been born today in Bethlehem, the city of David! …. Suddenly, the angel was joined by a vast host of others—the armies of heaven—praising God and saying, ‘Glory to God in highest heaven, and peace on earth to those with whom God is pleased’” (Luke 2:10-14). “And it is impossible to please God without faith…” (Hebrews 11:6). The object of the faith that pleases God: “He brought this Good News of peace to you Gentiles who were far away from him, and peace to the Jews who were near. Now all of us can come to the Father through the same Holy Spirit because of what Christ has done for us” (Ephesians 2:17-18). “This is what the Lord of Heaven’s Armies says: People from nations and cities around the world will travel to Jerusalem. The people of one city will say to the people of another, ‘Come with us to Jerusalem to ask the Lord to bless us. Let’s worship the Lord of Heaven’s Armies. I’m determined to go. Many peoples and powerful nations will come to Jerusalem to seek the Lord of Heaven’s Armies and to ask for his blessing…. In those days ten men from different nations and languages of the world will clutch at the sleeve of one Jew. And they will say, ‘Please let us walk with you, for we have heard that God is with you’” (Zechariah 8:20-23). What better exemplification of peace could there be, than representatives from entire nations and cities making pilgrimages to Jerusalem to receive the Lord’s blessings. May the Lord bless and keep you … and give you his peace (Shalom). “Rejoice, O people of Zion! Shout in triumph, O people of Jerusalem! Look, your king is coming to you. He is righteous and victorious, yet he is humble, riding on a donkey—riding on a donkey’s colt” (Zechariah 9:9). In ancient times when a king rode into a city on a donkey, it was a symbol of peace (to come). “If you confess with your mouth that Jesus is Lord and believe in your heart that God raised him from the dead, you will be saved. For it is by believing in your heart that you are made right with God, and it is by confessing with your mouth that you are saved” (Romans 10:9-10). The victorious feature of Jesus’s entrance into Jerusalem will be fully realized with his final conquest of the forces of evil. Then he will come as the, “Lion of the Tribe of Judah, the heir to David’s throne” (Revelation 5:5). A conquering ruler would enter a city on a horse, emblematic of a king who established peace by force … a just war. “Then I saw heaven opened, and a white horse was standing there. Its rider was named Faithful and True, for he judges fairly and wages a righteous war” (Revelation 19:11). Continuing with Zechariah: “I will remove the battle chariots from Israel and the warhorses from Jerusalem. I will destroy all the weapons used in battle, and your king will bring peace to the nations. His realm will stretch from sea to sea and from the Euphrates River to the ends of the earth” (Zechariah 9:10, italics for emphasis). Immediately followed by: “Because of the covenant I made with you, sealed with blood (the New Covenant), I will free your prisoners…” (Zechariah 9:11a, parenthesis mine). Note the past tense, made. Which precedes Messiah’s return to earth in power and great glory (Matthew 24:30). Then later in that chapter and chapters 12-14, Zechariah provides a stirring scenario of how furiously and heroically the Jews will fight against Gentile armies, which are led by Antichrist and his coalition. But this time it will be different. Messiah, himself, will fight with them, when he “appears above his people” (Zechariah 9:14), as he descends to step foot on the Mount of Olives to begin his rescue of all Israel (Zechariah 14:3-4). First, however, Zechariah says something unusual: “Judah is my bow, and Israel is my arrow. Jerusalem is my sword, and like a warrior, I will brandish it against the Greeks (Gentiles)” (Zechariah 9:13). It’s a prophetic foregone conclusion that the Lord will save (all) Israel from final attacks during the Day of the Lord, i.e. the Great Tribulation; and restore her physically and spiritually to the nation God intended for the Jews from the time he called Abraham out from among the Gentiles. So why mention both Israel and Judah? Why not simply say Israel (or Jacob)? Answer: Both Israel (ten northern kingdoms) and Judah (two southern kingdoms) will fight their enemies together in unity; something that has not happened since King David unified all twelve tribes of Israel from one city … the Capital city of Jerusalem. Even though the miraculous rebirth of Israel as a sovereign nation in 1948 and the liberated reunification of Jerusalem with the rest of Israel in 1967 has resulted in more unity among the Jewish people than existed since King David’s and King Solomon’s time, there is still disagreement and even division within many sectors of Jewish society, both in and outside of Israel (Diaspora Jews). This ultimate unification of Jews from all over the world will be a fulfillment of another prophecy, in the context of world peace and prosperity. One of paramount significance. So much so that global peace will not take place until there is unified peace between the still divided kingdoms of Israel and Judah. Your first reaction might be: The divided kingdoms of Israel and Judah are a thing of the past. Aren’t the ten northern tribes (called Israel or Ephraim in Scripture) the “lost tribes.” Aren’t they long gone, never to be heard from again? What do modern-day Israelis in Israel and Jews living outside Israel have to do with these divided Jewish kingdoms of ancient times? As is said (not as funny as it once was): I’m glad you asked! Although the designations of Israel and Judah are sometimes used interchangeably in Scripture (when the Lord is addressing his people as a whole), they are also used separately to identify which nation God refers to through his prophets. The lost tribes of Israel are not at all lost to God. He knows from which tribe every single Jew on the planet is descended, even though most Jews themselves do not know. Israelites from the ten northern tribes didn’t cease to exist, any more than did the Jews from Judah (designation of two southern tribes), who also were exiled—first to Babylon, then to nations all over the earth when the Romans conquered Jerusalem in 70 A.D.
For now, I’ll point to just one passage … albeit it one that is still future. 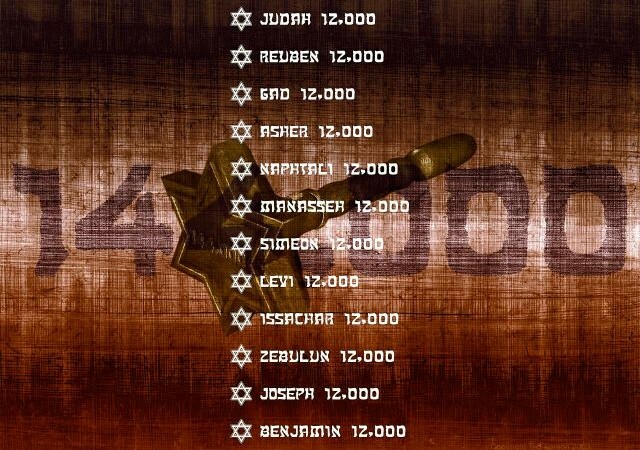 To demonstrate that Jews from the twelve tribes (a slightly revised list to match what happened in Jewish history) are still intact. I’m referring to Revelation Chapter 7, in which 12,000 Jews from each tribe will be sealed (appointed) by God to be witnesses for Messiah Jesus during the soon to come Great Tribulation. Moreover, I’m convinced that among the approximately 14.7 million Jews on Planet Earth today, the 144,000 are among them! (See Eye of Prophecy articles, One Hundred Forty-Four Messianic Jews Part I & II. Posted 4-23 & 4-30-16). The Balfour Declaration of 1917 which led to the rebirth of Israel was the beginning of the end times last (Omega) generation. Which includes the final rescue reunification of Jews, physically. A reunion that will culminate in the entire remnant of Israel—those who survive the Tribulation—being saved spiritually through faith in Messiah Jesus. The Jewish Apostle Paul goes on to say: “Many of the people of Israel are now (still are to this day) enemies of the Good News, and this benefits you Gentiles (when the greater majority of Israel rejected the Gospel, it was then extended to the Gentiles). Yet they are still the people he loves because he chose their ancestors, Abraham, Isaac, and Jacob” (Romans 11:28, parenthesis mine). This persistent enmity with the New Covenant has resulted in a continuing dichotomy among the Jews. See Eye of Prophecy article, The Jewish Dichotomy In & Outside Israel (Posted 6-30-18). In that article, I wrote: Though there is significant solidarity of Jews within and outside of Israel, there are three basic Jewish dichotomies. Let’s examine this phenomenon; how these seemingly irreversible differences can be resolved and by whom. The remedy will impact the entire world. Those three divisions: (1) Observant and Secular Jews; (2) Israeli and Diaspora Jews; (3) Messianic and non-Messianic Jews—the most obvious and deepest division. *Note: There is a fourth dichotomy, i.e. right versus left (conservative/liberal), but that is common to virtually every people and nation. Since Israel’s rebirth as a nation, the unprecedented restoration of the all but dead Hebrew language, the amazing return of millions of Jews, the remarkable reclamation of Jerusalem as Israel’s eternal capital, and the against-all-odds victory in four wars over vastly superior Muslim armies, the secular among them have recognized that these astounding achievements were in some fashion providential. It’s just that they have stopped short of giving the God of Israel (the only true and living God) credit. Observant Jews are equally elated with Israel’s rebirth and the relative security of Jews world-wide (compared to past times, especially World War II and the Holocaust) but for a different reason: they once again can practice Judaism with much more freedom and safety. In that regard, they acknowledge the God of Israel as the source of Israel’s very existence, restoration, and final redemption. But not so good because they still refuse to accept that the New Covenant predicted by Jeremiah has come. They are still in practical denial that Temple Mount is devoid of the Temple and that the Levitical Sacrificial System is no more. This dichotomy between Messianic Jews and their unsaved Jewish brothers and sisters in the flesh is the most noticeable of all, but one that God knew was both inevitable and necessary. For unless and until God’s people fully realize that Messiah has already come, bringing with him the New Covenant through his once-for-all substitutionary sacrifice for Jew and Gentile alike, and that he is soon to return, they will continue to misunderstand, “…God’s way of making people right with himself. Refusing to accept God’s way, they cling to their own way of getting right with God by trying to keep the law. For Christ has already accomplished the purpose for which the law was given. 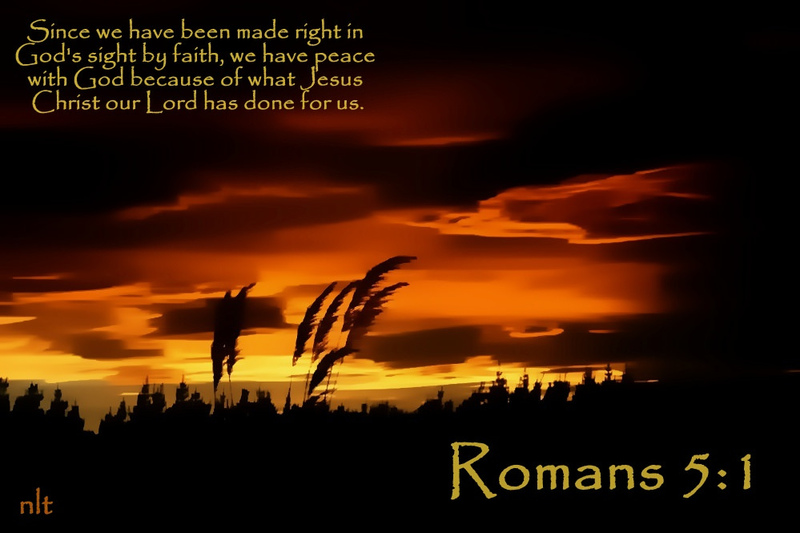 As a result, all who believe in him are made right with God” (Romans 10:3-4). Neither the dichotomy between secular and observant Jews nor the divergence between Israeli and Diaspora Jews will be fully resolved until the Jews recognize and turn to their Messiah, thereby fulfilling God’s ultimate purpose for choosing Abraham as the father of the Jewish people. Which was to bring the final Child of Promise to the entire world—the ultimate source of light and life to all people. Following God’s severe discipline of Israel (by Assyria) then Judah (by Babylon), there were three notable times when God’s people missed a golden opportunity to, as a nation, return to the Lord and to each other. The first was after the return of some Jews to Israel from Babylon. Alas, their loyalty to God didn’t last long. They repeated the same mistakes of their ancestors. Read the books of Ezra, Nehemiah, Haggai, Zechariah, and Malachi for details of what (started out to be) could and should have been a permanent reunited restoration of the Jews to the Promised Land. Then again, when the Maccabees of Judah miraculously defeated the mighty Syrian/Greek armies under Antiochus Epiphanes IV and the Hellenistic Jews that were disloyal to the God of Israel. (Today’s Eye of Prophecy post is on day six of Hanukkah’s eight-day festival in celebration of that miracle and another one: the one-day supply of Menorah lamp oil lasting eight days). But Jews and Judaism split into even more sects, each claiming superiority over the others in terms of what was best for Israel. They united only long enough to rally around their denial that Jesus of Nazareth was the Messiah—despite first hand evidence of his miracles before and after his crucifixion (his resurrection). Had they accepted Jesus as Messiah (the third and by far greatest opportunity to reunify) the Messianic Kingdom of God would have been established right then and there. However, God knew that His Son would be rejected. This refutation would result in the fulfillment of the Lord’s redemptive plan for humanity. Obviously, the following differences between Israel and Judah (from ancient times to present day Jews and Judaism) is a generalization. But then, in addition to specific variations, the Bible also makes general distinctions between the two kingdoms; noting that there were faithful Jews in both kingdoms. And, we know that Judah, too, fell into idolatry and disobedience to the Lord by repeating the sins of the ten northern tribes. Yet Judah lasted for some 150 years after Israel fell to the Assyrians. There was a reason for that; thus, the main differences between the two kingdoms identified in Scripture. Israel: Immediately after splitting the Davidic kingdom and establishing a separate capital in Samaria, the ten northern tribes began to worship man-made gods. False prophets emerged and many of their priests were not from the tribe of Levi, as God had ordained. None of their kings followed the Lord; nor did, by the ungodly leadership of king and religious leaders, the people (greater majority). Judah: Most of the faithful prophets and priests were aligned with Judah, even though some of them warned Judah as well as Israel to return to the Lord. Several of Judah’s kings loved the Lord and followed him, as did the people—for a while. 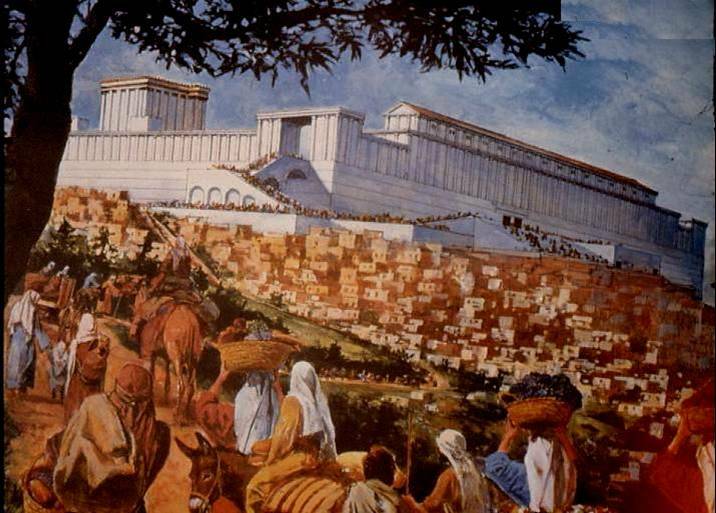 Most important: Jerusalem was (to always be) the capital of the Promised Land and the location of the Temple—where God dwelled among his people. For three of the annual (seven) Jewish Festivals, Jews were required by the Lord to travel to Jerusalem. In today’s Judaism (the world over), the ten northern tribes of Israel are exemplified primarily by Diaspora Jews (those living outside Israel)—mostly secular; if observant, many belonging to Reformed Judaism. They are the more liberal Jews as represented by (for example) democrats in the United States; or, within Israel—Zionist Union and Yesh Atid parties of Israel’s Knesset. Whereas, Judah is characterized more by observant Jews … predominantly conservative in their political, social, economic, and religious world-view. Represented, for example, by the Likud (30 of the 120 Knesset seats) and Shas coalitions. Proportionally, there are more observant Jews in Israel than in their Diaspora counterparts. As indicated, these are broad generalizations. However, they track with Israel’s and Judah’s history and are parallel with contemporary times. Yet, when it comes to the tens of thousands of Messianic Jews the world over, they are a cross-section of all Jews … no matter from which tribe they’ve descended. That’s the incredible power of God through Messiah Jesus to save his people—a prelude to salvation of all Jews (the remnant) when Christ returns to accomplish Israel’s final redemption and reunion—physically and spiritually. Many forget or don’t even know that most Christians of the 1st century were Jews. Three thousand Jews from at least fifteen countries and regions in and around Israel were born-again in Jerusalem (in one day) after listening to the Jewish Apostle Peter’s (a fisherman by trade) stirring message about the resurrected Jesus. Two named members of the Sanhedrin—Joseph of Arimathea and Nicodemus—believed in Jesus as the Messiah. The Apostle Paul had been a strict Jewish Pharisee whose life and eternal destiny was radically altered when Jesus interrupted Paul’s (Saul) trip to Damascus to arrest and imprison Christians. The Apostles John and his brother James also were fisherman and Matthew was a tax collector. In today’s world, there are Jews from all walks of life … conservative and liberal, religious and irreligious, who have acknowledged Jesus as Messiah and accepted him as their Savior and Lord. 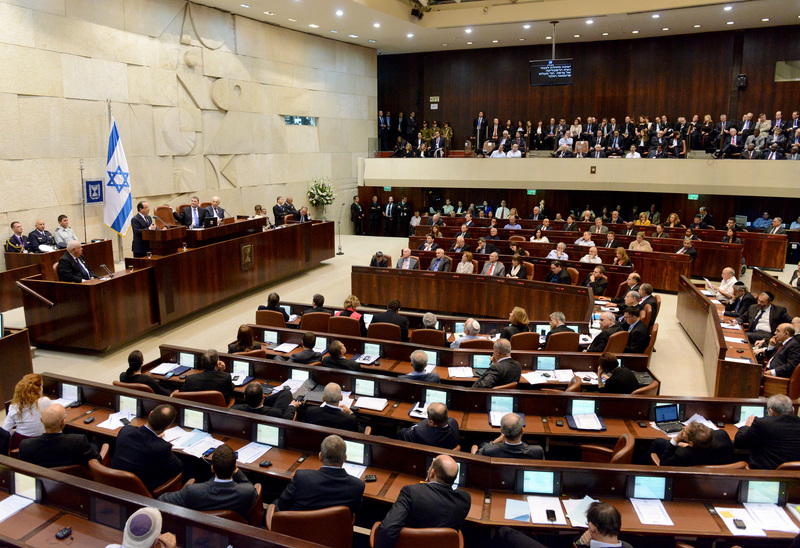 The parliamentary Knesset is an extraordinary example of a fragmented fraternity within a nation. A disunited unity! With (currently) 11 parties trying to run a government instead of the usual two, three, or four parties of most nations. Thus, the current crisis—seemingly resolved between the involved Knesset parties, but one that could erupt again—is ultimately good for Israel. It’s good because both secular and observant Jews realize that too much disunity could adversely affect Israel’s solidarity within the nation; but also jeopardize Israel’s security with its enemies. It’s good because the secular among them will hopefully see more clearly that ultimate (optimum) uninterrupted unity is only possible by once again returning to their God, the God of Israel. For secular and religious alike to fully realize that God’s appointed Messiah (the Son of God, Psalm 2, Psalm 110) will be the only one who can (and will) redeem and restore Israel to what God intended for them in the beginning—a nation of born-again priests—who will rule and reign with Messiah in Israel. And yet who are one in Messiah (Jesus) with Gentile believers, who have been grafted in to the prophetic tree of Israel. In that regard, they will fulfill their (Israel’s) destiny. It’s also good for the United States and other nations/peoples when we more fully appreciate the miracle of Israel itself. That against all odds, Israel has won (survived) four wars against Arab nations. And not only survived but has grown in prosperity and posture among the nations. Despite the sometimes-debilitating disputes among themselves, Jews in Israel (and all over the world) passionately exhibit one unifying trait and defend one ultimate purpose: the survival of Israel as a people, as a sovereign democratic state, as a nation reborn from the floods of dispersion and from the fires of Nazi death camps. Jewish citizens of Israel synthesize over one common denominator: an enemy who wants to reduce them to ashes, to drown them in the sea, to erase Israel from memory, from all maps of the civilized world. About three weeks ago, another crisis developed in Israel’s government. Defense Minister Avigdor Lieberman resigned his post (in protest over the government’s alleged lack of toughness with Hamas’ launching of some 450 rockets into Israel as well as the now eight-month Palestinian rioting at the Gazan border with Israel) and withdrew himself and his coalition party … six-member Yisrael Beiteinu. Thereby, reducing Prime Minister Benjamin Netanyahu’s governing coalition from 67 to the bare minimum of 61 seats. Shortly thereafter, Education Minister Naftali Bennett and Justice Minister Ayelet Shaked (leaders of the Jewish Home Party—8 Knesset seats) threatened to exit the majority coalition government if Netanyahu didn’t appoint Bennett to Defense Minister to replace Lieberman. If Bennett and Shaked didn’t back down, then the regular election scheduled for November 2019 likely would have taken place in 2-3 months. 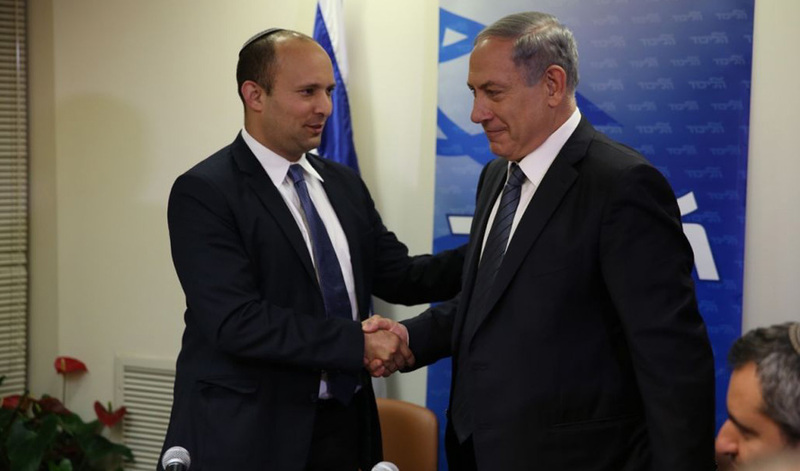 Netanyahu called the bluff of the Jewish Home party and Naftali Bennett withdrew his demand. Out of cycle elections are a drain not only on legislators and government officials, but also the entire population. Worse, any government in a transitional crisis cannot deal nearly as effectively with national security issues. Time/space does not permit more elaboration on this crisis except to say that Prime Minister Netanyahu once again demonstrated his skillful leadership of Israel by tirelessly working to resolve this divisive dilemma; successfully maintaining a majority coalition government (61 of the 120 Knesset seats). Israel’s failure to keep God’s Covenant of the Law through Moses led to her division into two kingdoms some 2,900 years ago … around 930 B.C. Things only got worse, but God knew this would happen. At the proper time, he announced that a New Covenant would replace the Old (Jeremiah 31). Jesus Christ put into effect this New Covenant that would forever change Israel’s and the world’s destiny … spiritually and physically. This New Covenant would also divide Jews (and later Gentiles), but with a division that makes the difference between eternal life and death. An enormous partition between the truth of God’s salvation to Jew and Gentile alike versus humanity’s way of trying to get right with God through good works or keeping rules that they could and would never keep in the first place. New Covenant truth that brings perpetual peace with God and, therefore, true freedom and peace among people. Jesus said to his disciples (all believers): “Peace I leave with you; My peace I give to you; not as the world gives do I give to you. Do not let your heart be troubled, nor let it be fearful” (John 14:27, NASB). Jesus contrasted his (real) peace to a (fleeting) peace that the world thinks it can attain without acknowledgment of God in the affairs of people. “I have come to set the world on fire, and I wish it were already burning! I have a terrible baptism of suffering ahead of me, and I am under a heavy burden until it is accomplished. Do you think I have come to bring peace to the earth? No, I have come to divide people against each other! From now on families will be split apart, three in favor of me, and two against—or two in favor and three against. Father will be divided against son…” (Luke 12:49-53a). Jesus is not contradicting God’s Word that he, as Messiah, would ultimately bring peace and unity to Israel and to the whole earth. The truth of God’s Salvation will burn away the dense, dark undergrowth of man-made religions. Of philosophical and political systems that foster false hope and promote pretentious peace that lasts only until the next conflict—among families, cities, states, and nations. “O Jerusalem, Jerusalem, the city that kills the prophets and stones God’s messengers! How often I have wanted to gather your children together as a hen protects her chicks beneath her wings, but you wouldn’t let me. And now, look, your house is abandoned and desolate (predicting the Roman sack of Jerusalem). For I tell you this, you will never see me again until you say, ‘Blessings on the one who comes in the name of the Lord’” (Matthew 23:37-39, parenthesis mine). Now listen to the prophetic words of Jesus (the Pre-Incarnate Messiah) hundreds of years earlier. In this Messianic passage, he is speaking specifically of and to the divided kingdoms of Israel and Judah. The prophecy is harsh compared to the compassionate expression of love for his people we just read in Matthew. Harsh because God would complete his discipline of Israel as foretold first by Moses (Leviticus 26) and then through other prophets, by intensifying this split between Israel and Judah until they finally reached up and out to Jesus as their Messiah Savior. The passage begins with the Good Shepherd (Messiah) who cared deeply for the flock (all his people), despite their rebellious divisions—but only to a point. “Then I took my staff called Favor and cut it in two, showing that I had revoked the covenant I had made with all the nations (most translations read “peoples”). That was the end of my covenant with them…” (Zechariah 11:7-11, parenthesis mine). The covenant that would be revoked when Messiah came to earth was the Old Covenant of the Law through Moses, which also was to include foreigners (Gentiles) who wanted to know and follow the God of Israel. A New Covenant would take its place, as Jeremiah had already foretold. “The day is coming, says the Lord, when I will make a new covenant with the people of Israel and Judah. This covenant will not be like the one I made with their ancestors… They broke that covenant, though I loved them as a husband loves his wife, says the Lord” (Jeremiah 31:31-32, italics for emphasis). Returning to Zechariah, the passage even specifies that Messiah would be sold (valued at) 30 pieces of silver; precisely fulfilled when Judas Iscariot betrayed Jesus to the religious leaders for that sum of money. Zechariah continues: “Then I took my other staff, Union, and cut it in two, showing that the bond of unity between Judah and Israel was broken” (Zechariah 11:14, emphasis added). This complete cut of an already torn Israel took place within a generation after Jesus ascended back to heaven. The sectarian strife among 1st century Jews and within Judaism contributed significantly, if not exclusively, to the Jewish revolt against Rome in 66 A.D. Which ended four years later with Israel’s crushing defeat and exile for nearly 2,000 years. The grievous cut finally began to heal at Israel’s rebirth in 1948 and especially with the liberation of Jerusalem in the 1967 Six-Day War. Although the staff is currently taped together, it is not yet solidly welded. It won’t be joined permanently until after the worthless shepherd of Zachariah 11 (Antichrist)—who many Jews (and most Gentiles) will follow upon his reappearance—attacks Israel near the end of the Tribulation. And Messiah Jesus intervenes to forever bond the break between Jews both in and outside of Israel. Even before Messiah’s prophecy (through Zechariah) of the debilitating disunion of Israel, God promised that Israel would be restored and reunified, as would the whole world as a result. 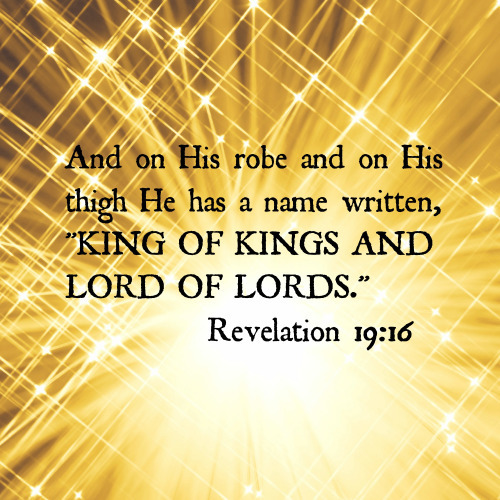 “In that day the heir to David’s throne will be a banner of salvation to all the world. The nations will rally to him, and the land where he lives (undivided Israel, to also include Gentile citizens) will be a glorious place… He will raise a flag among the nations and assemble the exiles of Israel. He will gather the scattered people of Judah (once and for all … see Matthew 24:31) from the ends of the earth. Then at last the jealousy between Israel and Judah will end. They will not be rivals anymore” (Isaiah 11:10, 12-13, parenthesis mine). Ezekiel uses the same illustration. “Now hold them together in your hand as if they were one piece of wood. When your people ask you what your actions mean, say to them, ‘This is what the Sovereign Lord says: I will take Ephraim and the northern tribes and join them to Judah. I will make them one piece of wood in my hand’” (Ezekiel 37:17-19). 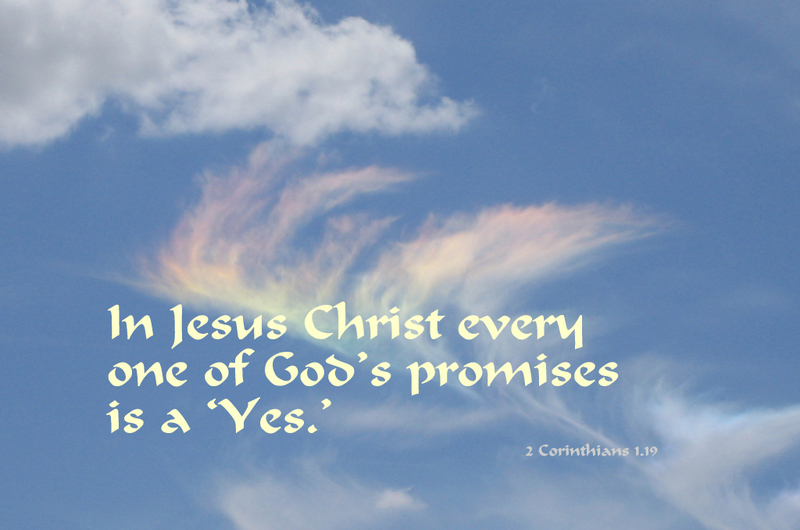 “…But then I will come and do for you all the good things I have promised, and I will bring you home again. For I know the plans I have for you, says the Lord. They are plans for good and not for disaster, to give you a future and a hope. In those days when you pray, I will listen. If you look for me wholeheartedly, you will find me … I will gather you out of the nations where I sent you and will bring you home again to your own land” (Jeremiah 29:10-14). “But now I will not treat the remnant of my people as I treated them before, says the Lord of Heaven’s Armies. For I am planting seeds of peace and prosperity among you…. Once more I will cause the remnant in Judah and Israel to inherit these blessings” (Zechariah 8:11-12). 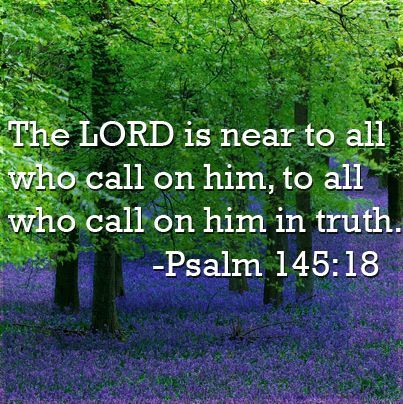 Let’s intently listen to, love, and learn from the Lord. Let’s also keep our eyes on Israel. As Israel and Judah go, so goes the world. Global redemption and peace to the Jew first, then to the Gentile (Romans 1:16).